This week is fairly eventful. 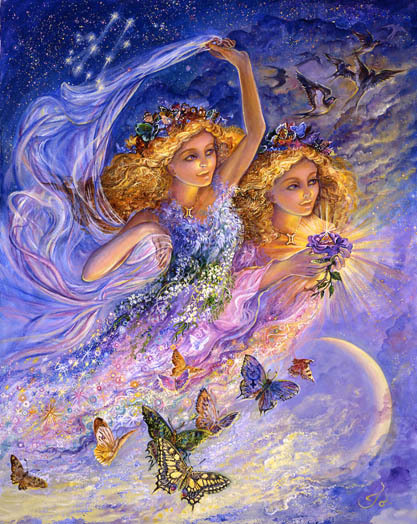 Today at 2:44 PM Pacific time and 5:44 PM Eastern time, the full Moon culminates in Gemini. 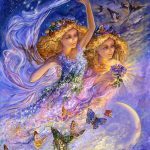 (See feature article) Gemini requires an intelligent and agile adaptation to current circumstances. And, at the moment, current circumstances can feel very complicated. There is the need to be able to imagine or “play out” another’s thought processes to prepare for future eventualities. Long term planning and strategies are important. Using “quick fix” tactics exclusively can add up to a future you didn’t intend. A once every 30-35 year aspect (Saturn square Neptune) is in effect, becoming exact on Thursday morning and lasting through most of 2016. The aspect essentially pits crystallization against dissolution. Things that are firm and solid tend to become squishy and liquidate. Things that used to be soft and pliable become hardened and inflexible. But Neptune is highly activated and anytime this occurs there is the possibility of transcending the normal rules of existence. In other words, magic happens. What they say could “never be cured”, heals overnight. The most desirable and unlikely scenarios easily manifest when we believe in that possibility. 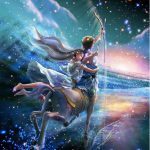 Saturn, now activating Neptune, is in the sign of Sagittarius ruling what we believe to be true. 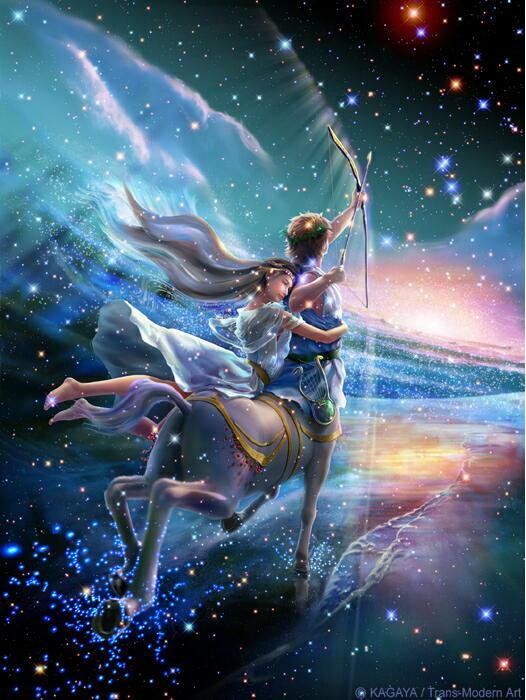 On Friday Chiron, the planet that fuels integration and wholeness, moves into direct motion. It’s been retrograde since June of 2015. After doing the inner work, reconsidering health habits, digging for the source of what ails us, and coming up with some answers, most likely we’re ready to move forward toward a more integrated sense of wholeness. 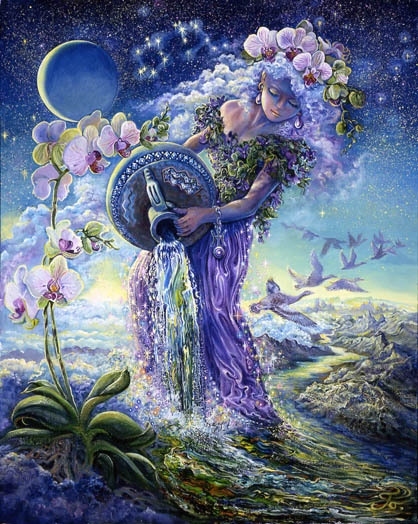 Because Chiron is in the sign of Pisces, the emphasis is on healing spiritual connections through the elimination of something that prevents that. 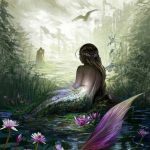 Healing under a Pisces influence tends to require that we “lose” something – either deliberately or through circumstances that appear beyond our control. It is worth remembering, as well, that the nodal axis changed signs recently indicating a change in focus regarding the future and what we’re aiming for. 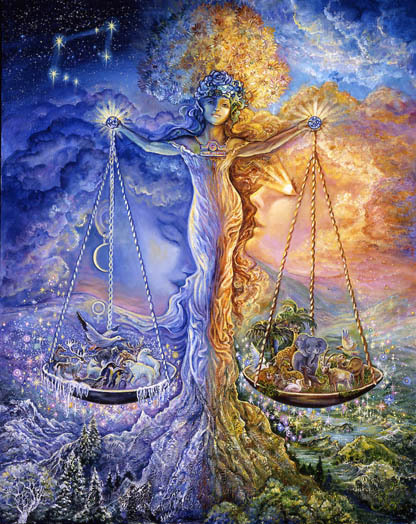 The North Node moved from the sign of Libra (relationships) into the sign of Virgo (purification, self-improvement, more effective habits and methods, and our approach to what we are responsible for). The south node defines what we’ve outgrown and what needs to be released as well as what we’ve learned in the past that can now be of use. Once again Pisces is the central player here, along with Mercury. Writing and journaling can be especially effective modes of integration for the next year while evading and avoiding can be especially undermining. If we’ve chosen to play the victim that can now be transformed into a state of taking more personal responsibility for our life direction. Compassion can enhance effectiveness. And the magic of believing can replace soul crushing work. Thanks for reading and have a wonderful Thanksgiving week. 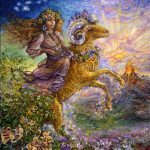 The full Moon in Aries solar 3rd house indicates a culmination and ending of some previous area of interest, most likely related to philosophy and the future. 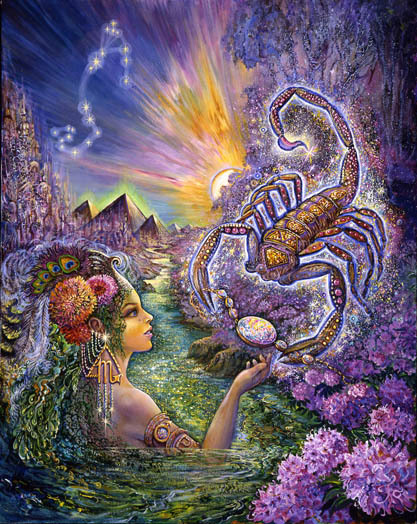 There is an indication that you have taken your curiosity as far as it can go in a specific direction and now you enter a period of finding something newly inspiring and interesting. 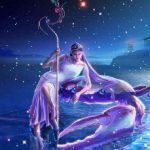 It is likely that Chiron’s direct motion in your 12th house will assist you releasing old ties, methods, and restrictive habits. The release of those will have a healing effect on you. It’s time to expand your thoughts and ideas beyond their current range. Relationships with dynamic and unusual friends could move you in the right direction. Find a way to express more exuberantly and confidently your openness and progressively brilliant qualities and you will attract the stimulating people and ideas you need. New and unusual forms of entertainment, creative stimulation, and progressive ideas may be dissolving old fears and blockages that previously resulted in tenuous states of mental health, as well as the inability to wield power effectively in your own best interest. Your death-grip on the past may be in the process of softening. 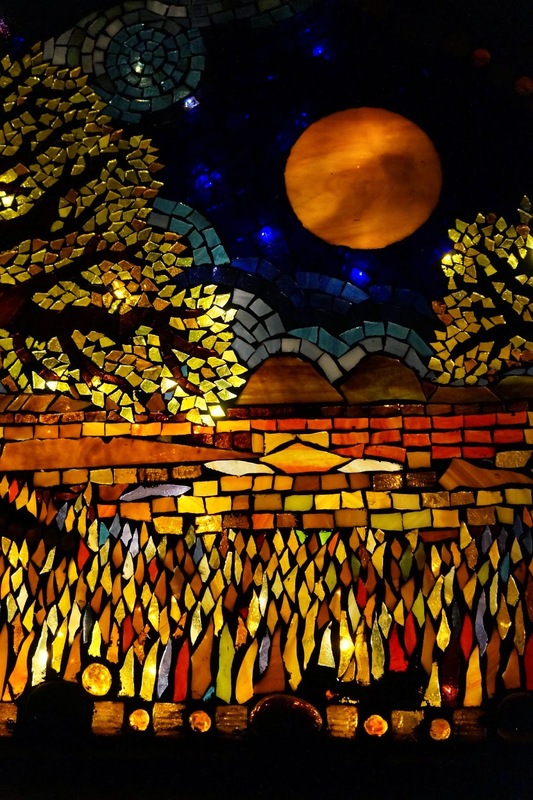 The full Moon in your 2nd house sensitizes you to a deeper sense of groundedness that does not require a rigid and unchanging mindset or belief system. The heavy burdens you’ve carried may be in the process of lightening up as you lighten up. There may be some crack in the door that was once closed to a life of fun, games, and laughter. 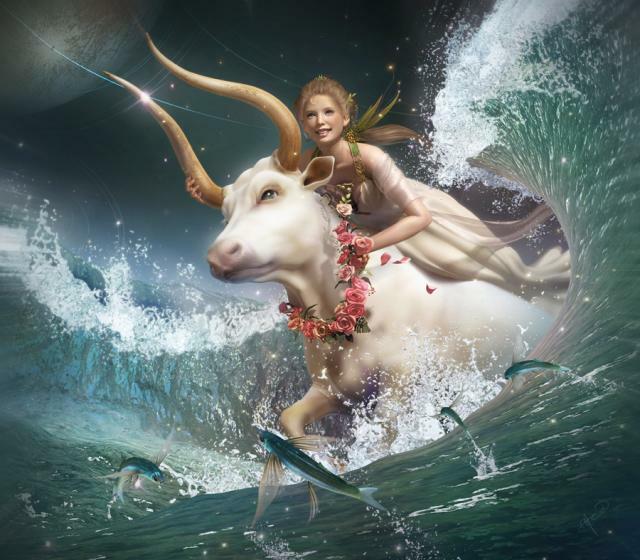 As Chiron moves into direct motion in your 11th house you become more receptive to joy through friendships and a pivotal healing of old traumas brought on by sudden uncertainty and chaotic circumstances. The full Moon in Gemini lands in your solar 1st house creating a sense of burn-out, possibly within the realm of relationships. Relationships are tricky blend of complicated compromises these days. Trying to maintain a cohesive semblance of yourself and your own independent dreams, hopes, and wishes while nurturing your relationships at times may seem impossible. The reality is that whether or not you have a partner, the image that is being reflected back to you through other is shape-shifting, blurry, at times deeply compassionate, and at other times something you can’t define, don’t recognize, or don’t want to recognize. Essentially your reflection is a moving target requiring incredible feats of adaptation and flexibility, and necessitating that you stretch beyond anything your used to. It’s a learning situation that encourages you to include magic, intuition, and whatever transcends the usual earthly recommendations for what might be healing and beneficial. The full Moon culminates for you in your 12th house of intuitive knowing and the subconscious mind. It is likely that your intuition has kicked into high gear either completely confusing and undermining you or presenting a level of clarity you haven’t experienced for awhile. Your mind has been sensitized. How do you use that to your best advantage? There is the indication that a better sense of timing could improve the effectiveness of your current methods. Long range planning needs to be combined with shorter term effective tactics to move you into the kind of future that can feed and satisfy your soul. A liberation from old psychological conditioning could be easier than usual at the moment. 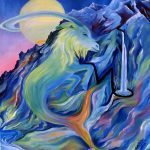 Chiron’s change into direct motion may heal you from the trauma of believing that your future was bleak or non-existent. Nourishing a sense of confidence ensures a bright future full of endless possibilities. 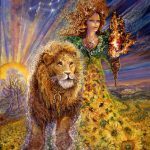 Being released for Leo is the fear and rigidity that previously blocked infusions of love and a greater depth of understanding. The result may be a recognition of the preciousness of something you previously ignored or assumed was simply ordinary and dispensable. The greatest gift, though is that you’re recognizing what feeds your soul and appreciating whatever that is to a greater degree than you have previously. 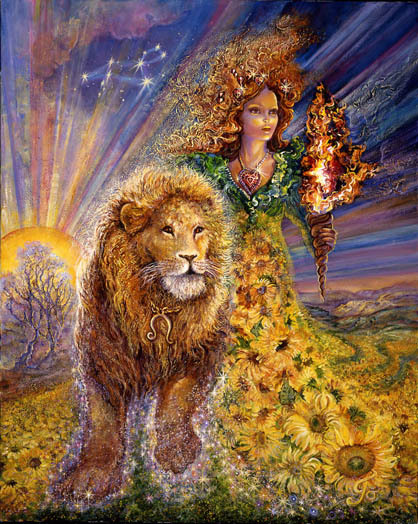 The Gemini full Moon in your 11th house makes it likely that a caring and nurturing figure (or a child) looms large within your list of what you would label “irreplaceable.” Leos are not known for their ability to fully appreciate what they have. Amidst their preoccupation with themselves they miss a lot. But Saturn appears to be softening in a way that changes all of that. 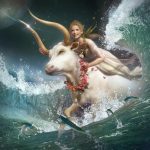 Chiron’s move into direct motion on Friday adds tremendous depth of power to your ability to heal through love and appreciation. 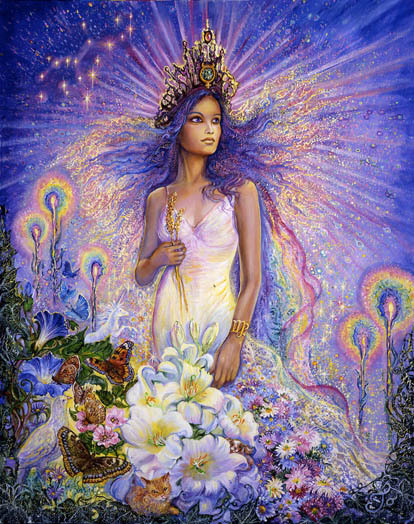 The full Gemini Moon culminates in your 10th house of goals, aspirations, and life direction. 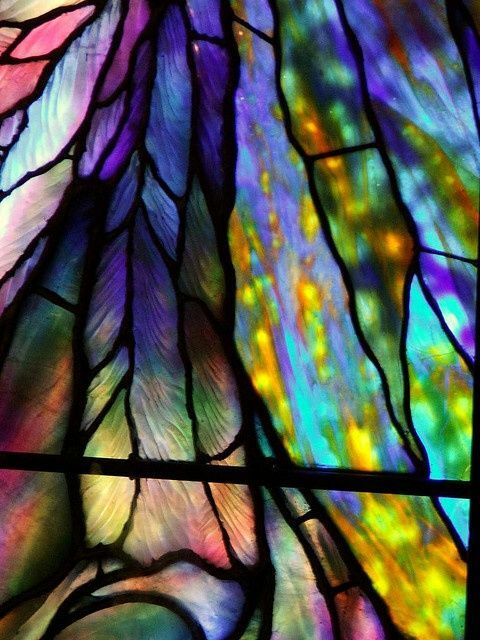 There may be an abundant harvest in this area of your life as your mind is sensitized to what your soul craves and your life opens to the possibility of coalescing around it. The most important thing is for you to be able to nourish yourself effectively now. Defining what’s most nourishing for you is important. 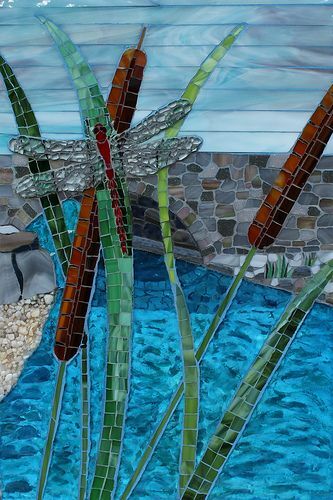 The astrological omens indicate that it may be more time with friends who have a deeply transformative affect on you. Your mind may be in need of more stimulation with ideas that feel new and nourishing. Of course there is always the possibility that you need more love. You crave it. Your responsibility is to arrange the time and the circumstances that would allow this kind of nourishment and self-nurturing to occur. 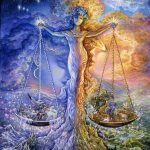 Libra has recently become more reflective about the nature of their communication, their knowledge base, and the level of confidence they have in their ideas, perspectives, and beliefs. An interest in listening more carefully with a greater degree of sensitivity may be your focus. 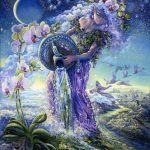 The full Moon in your 9th house may have expanded that tendency, changed your perspective, or clarified the need to release some remaining fears and inflexibility where thoughts and communication are concerned. Neptune’s softening effects are working in your favor in that regard. Whatever you’ve done for the past year to develop and enhance your approach to relationships is working in your favor as well. Chiron moving direct in your 6th house heals you in a way that improves your methods for making others feel heard and loved. There is something that appears to be working more harmoniously within the deepest recesses of your mind and heart. It may be reflected in some kind of visible or clearly felt improvement – less anxiety and a more empowered sense of well-being. The full Moon culminating in your 8th house reflects some kind of transformation, possibly at the level of some old psychological conditioning that interfered with your sense of confidence and stability. Whatever your past psychological restrictions entailed, those appear to be waning. Now it is as though something deeply stabilizing is being abundantly nourished. A friend from the past may be instrumental in some way, but there is also the indication that something you’ve done, some responsibility you’ve accepted, some new habits, methods, and approaches may be enhancing your sense of well-being. Whatever you’re doing, keep doing it. 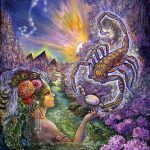 Recently some new inspiration, new sense of confidence, or new idea has changed the nature of your relationship (full Moon in the 7th house) with your mind, greatly improving your ability to succeed in the most satisfying ways. Your ability to think independently and to cultivate your own ideas and know-how now assists you in getting where you want to be. Dissolving are old beliefs about the nature of what is possible for you. Your old foundations of powerlessness appear to be crumbling and that appears to be working in your favor. Your mind is able to soar in areas that have previously been confusing or overwhelming. Over the next week it is possible that through some enjoyable experimentation you will happen upon a new discovery. 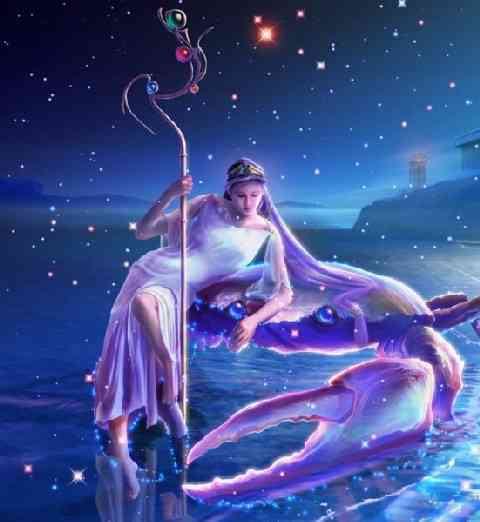 Mercury, your thoughts and ideas move into favorable alignment with Uranus, the great awakener. Get ready for a personal breakthrough that opens new doors and new possibilities. 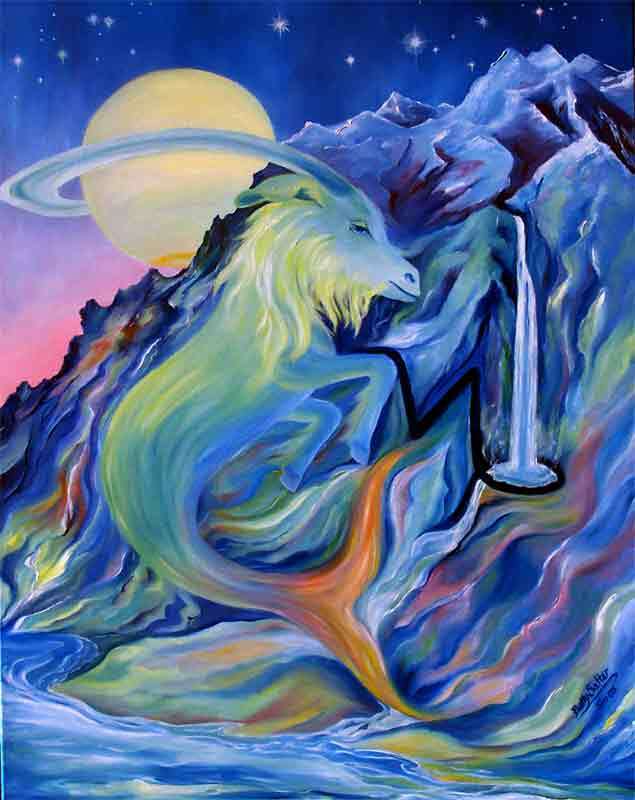 Capricorns are on the cusp of their personal new Year. You’re birthday is just around the corner so now you’re in the process, though it may not be conscious, of sifting through what you’ve accumulated during the year – deciding what to keep, what to throw out, and how to update, expand, and improve upon your current vision for the future. Lessons over the past year have included the need to think more with your heart. If all has gone well you are softer than you were a year ago, less rigid, less crystallized, less fearful. The full Moon in your 6th house of work brings to a culmination what you have learned about “getting the job done” versus the importance of being more sensitive to yourself and others in the process. Your headed for more lessons along the same lines, but you’re well on your way toward a more deeply satisfying kind of success you couldn’t fathom just a year ago. The arrival of the holiday season presents some very fortunate timing for you. A stellium of planets in your 11th house of friends indicates it’s time to entertain, to spend some money you may not necessarily have, in order to be surrounded by a brilliant, like minded group of people you love – or could love. Generosity of the most joyful and entertaining type can be what you’re offering. You could invite current friends or potential friends, clients, or just some interesting types you’ve run across. You could benefit from some kind of big, maybe unprecedented outreach toward those who make you feel more at home with yourself and your ideas. A healthy infusion of fun in your life (full Moon in the 5th) is just what you need. 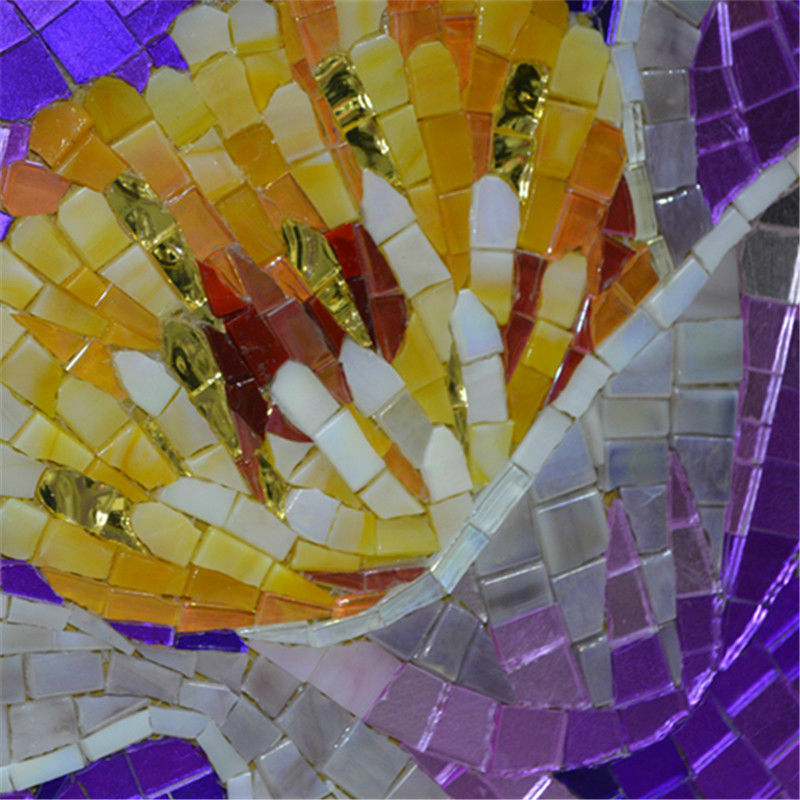 In the process you may find the new inspiration you’re looking for. Pisces is experiencing the full Moon within the realm of the 4th house (home, family, roots, the past) Some kind of an ending may be fueling your beliefs about a career direction or general life direction. 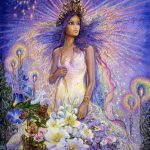 The current dissolving influence is opening you to new life possibilities, possibly changing the nature of your goals, and moving you in the direction of more healthy, balanced relationships. What you have done in the past may have peaked. You need some time to regroup, to be newly inspired in a fresh direction, maybe by someone with more expansive beliefs about the subtle and sublime nature of healing. It is possible that you will personally experience the healing effects of something incredibly sublime and unlikely over the next couple weeks. That may be the inspiration you need to clarify where you’re headed.